It is the MISSION of ATP Telepsychiatry to provide quality, cost effective, innovative, and specialized psychiatric tele-health services. ATP Telepsychiatry will treat each of the following populations: child/adolescents, adults/ geriatric populations using fellowship trained psychiatrists who will insure that cutting edge best clinical practices will result in quality outcomes for both our clients and patients served. 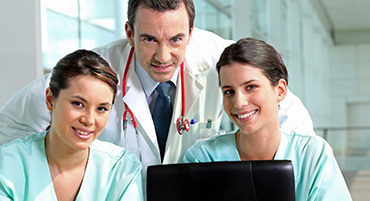 ATP Telepsychiatry, Inc. is a national leader in delivering telepsychiatry services. ATP offers its partners a network of psychiatric clinicians to augment existing in person services and bring evaluation and care to otherwise underserved consumers. Through its team of employed telepsychiatrists, ATP delivers real-time psychiatric evaluations, medication management and care via a secure videoconferencing network. ATP increases access to care by partnering with other provider organizations across the country to augment existing on-site services. Services include emergency evaluations within a one hour time period, access to specialties like child and adolescent psychiatry, behavioral health integration programs in primary care facilities, remote pharmacology expertise to correctional facilities and more. ATP Telepsychiatry pioneered a service delivery model for psychiatric evaluations that is changing the way its partners and customers think about behavioral healthcare. ATP has provided psychiatric services on demand from its 24/7 network of employed psychiatrists through HIPAA compliant video conferencing. 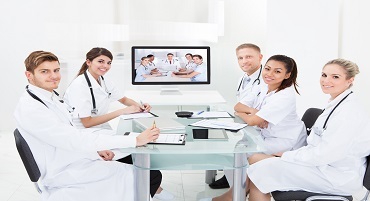 Uniquely structured through a centralized network of providers, access center representatives, and IT professionals, ATP’s telepsychiatry system ensures rapid access to locally credentialed psychiatrists for emergency evaluations to collaboratively determine the appropriate level of care for every consumer. Also focused on delivering continuing care through outpatient telepsychiatry into rural or under-served areas, ATP’s clinical services may be consistently scheduled to deliver specialties like substance abuse services or child and adolescent psychiatry. Serving hospital systems, psychiatric crisis centers, residential programs, correctional facilities, and outpatient clinics, ATP’s partners with facilities to augment their existing onsite services, often providing additional hours of capacity or emergency coverage on evenings or weekends. ATP has comprised a business/administrative team and a clinical provider network that has a collective telemedicine experience of over 60 years. ATP is a national telepsychiatry practice and leader in the development of workflow technology. ATP works in partnership with local psychiatrist and hospitals to optimize psychiatry's pivotal role in patient care. The combination of contracting with ATP for psychiatric consultative services and using its technology has helped clients enhance patient care, boost productivity and reduce expenses. 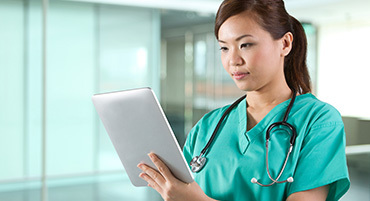 All of ATP's technology is cloud based, HIPAA compliant and managed via the Internet. ATP provides coverage for a variety of crisis centers, hospitals, correctional facilities, outpatient offices, military bases, and residential treatment programs all over the nation. Through our around the clock network of psychiatric specialists, ATP tailors services to meet the individual needs of each customer. With some of the best board certified psychiatrists and psychiatric nurse practitioners in the nation, ATP provides clients with access to a vast and comprehensive network of behavioral healthcare specialists. The knowledge and experience of the specialists on our team offers an unparalleled level of service.